I can attest to the deliciousness of this particular tuna as I actually had some mid-last week. K marinated it quickly with wasabi powder and a soy mix before coating with a mix of white and black sesame seeds and perfectly searing over a hot, hot, hot wood fire. Ah-maz-ing! (Use this recipe for seared tuna in wasabi sauce as a guide.) It was my first time to try the Albacore steaks and now I know I’ll definitely be back – especially at this price. None the less, I digress. Back to the fish tacos. I love these ceviche inspired tacos from Philadelphia-based celeb chef Ralph Pallarino. They combine tuna grade sushi, cooked in citrus juices with the bright flavors of watermelon, avocado, onion, cilantro and a dash of tequila. My only improvement on the original recipe as featured on the Food Network, reposed below, would be queso fresco in lieu of the suggested white cheddar. Bon appetite – on a budget! To prepare the seviche, in a medium-sized bowl combine the tuna, lime juice, lemon juice, serrano pepper, and salt and freshly ground black pepper, to taste. Make sure the ingredients cover the tuna, and let it stand for 1 hour, occasionally folding ingredients with a rubber spatula. To begin the salsa, combine the watermelon, avocado, red onion, garlic, parsley, cilantro, lime, peppers, salt, pepper, oil, and tequila in a medium-sized bowl. Toss all ingredients together gently. Let it stand for 30 minutes. To warm the tortillas, season a hot grill or non-stick pan with a touch of oil, salt, and freshly ground black pepper (to season the grill, take a thick cloth pour tablespoon of vegetable oil on cloth and rub cloth on grill, then sprinkle grills with salt and pepper). Put the tortillas on the grill until they are warmed through on both sides. To plate, spoon 2 tablespoons of the tuna on the tortilla, followed by 1 tablespoon of salsa, cheddar cheese, sour cream, and lettuce and caramelized onions. 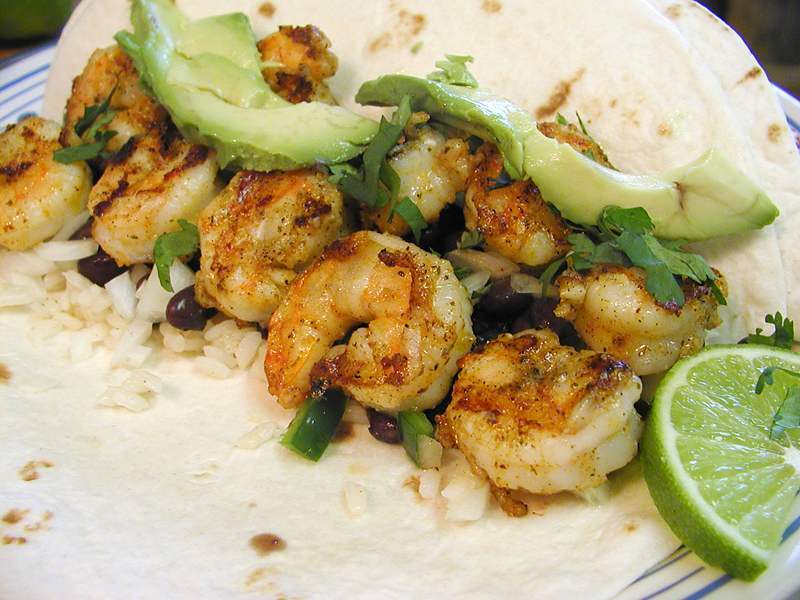 However, if ceviche-style tacos aren’t your thing, you can still enjoy a seafood taco. Instead try shredded grilled fish tacos from Southern Living with the $7/lb fresh tilapia fillets or Southwestern shrimp tacos from Self with the $10/lb easy-peel shrimp. What’s your favorite take on fish tacos? When you don’t make them at home, what’s the best place to grab one? but this recipe was basic even for me! It had been certainly delightful!
! Thanks on the stunning one that additional this recipe!